We want to help you celebrate your anniversary accompanied by a night view sparkling like a jewelry box. ・When you want to convey your feeling to your dear beloved one. ・When you want to create a wonderful and unforgettable night. ・We want you to relish the luxurious night view and atmosphere. We have prepared three special plans for such customers at Fish Bank TOKYO.All of our staff will assist you to convey your feeling of gratitude to your dear sweetheart, friends, and family members in a form they can all appreciate. The courses we have prepared are truly “heavenly experience”　which will stimulate your palate as well as your other senses. Please enjoy the newly launched dining phenomenon from Shiodome. We have a la carte menu as well. 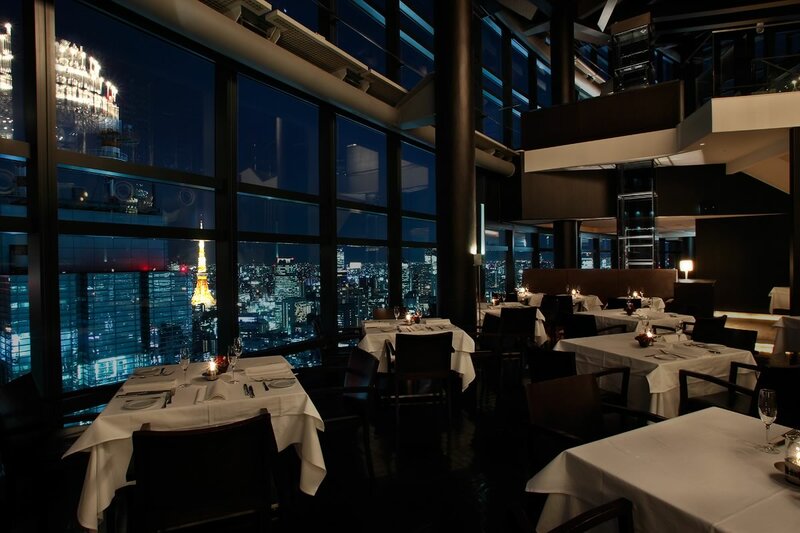 Enjoy our relaxing lunch while overlooking Tokyo from the top of Shiodome. We have selections from affordable pasta lunches starting from 1300 yen to 5 full courses priced at 6000 yen.